Occupying a valley between the fearsome Tatra mountains and the hillside settlement of Gubałówka the town of Zakopane owes its status to one man – Tytus Chalubinski. Visiting for the first time in 1873 our protagonist was knocked out by the mountain scenery, crisp air, strange jodhpur-wearing local chaps and picture book beauty. He returned to Warsaw full of the glories of the Zakopane, and couldn’t wait to let the cat out of the bag. Within years what had been an obscure sheep-rearing community had been transformed into Poland’s favourite mountain spa – the first wave of visitors were looking to cure their breathing ailments, and they were swiftly followed by artists and authors searching for inspiration of both a spiritual and liquid kind. Composers Szymankowski and Monuiszko and literary figures like Tetmajer and Witkacy all kept quarters here, as did a pre-revolutionary Lenin, adding to the avant-garde legend that was growing around the town. By the outbreak of WWII it had become one of Poland’s most high-profile destinations, and it’s a reputation that it still enjoys. The year round population of the resort stands at 28,000, but the three million visitors who arrive annually do a good job of making it feel there’s a couple of zeroes missing from the figure. The best ski-runs in the country can be viewed from your hotel room, and as such this place often finds itself labeled ‘Poland’s winter capital’. But it’s much more than that; there’s no such thing as an off-season in Zakopane, and the warmer months see the streets sink under the weight of an endless torrent of human flotsam. Bearing the brunt of this tourist assault squad is Krupówki, the principal thoroughfare that cuts through town. At times you can almost feel the cobbles wobbling under their burden, and you can’t help but think if all the break-dancing teams, jugglers, puppet masters and bongo drum players were part of Chalubinski’s masterplan. Thankfully, peer behind the trashy discos and endless stalls selling inflatable aliens and you’ll discover a town that fully justifies the white knuckle bus journey to reach it. Stray off Krupówki and the casual tourist is rewarded with postcard wooden architecture, a handful of great museums and superb cooking that will leave you needing an airlift back to bed. It soon becomes clear why so many people choose Zakopane as their holiday destination – do the booze and dance moves by night, of course, but don’t forget to get adventurous. Take to the hills in the company of eagles, chamois and marmots, take to the year round ski slope, take to museums and take to the forgotten timber-clad streets. 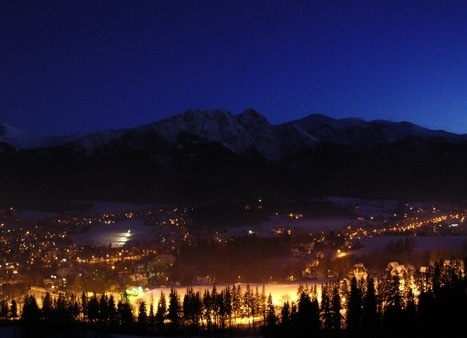 Within a flash you’ll be taking to Zakopane, and planning your next trip before you’ve even left. 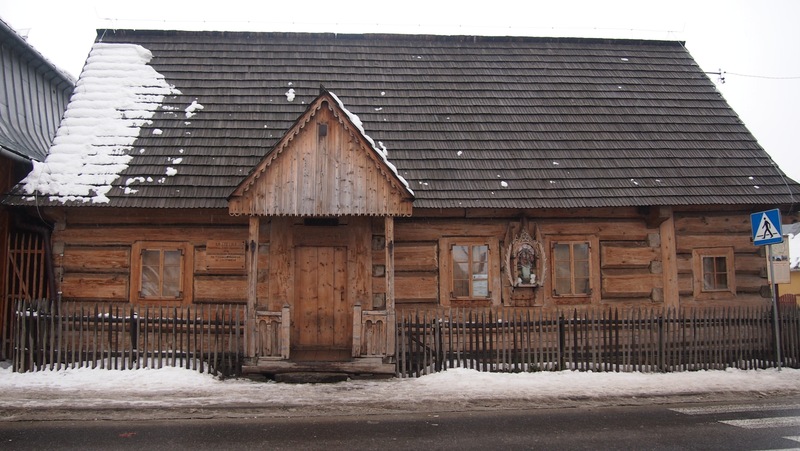 The village of Chochołów in the region of Podhale has a rich history beginning early in the 16th century. The first known document containing reference to the village is the 1592 privilege issued by King Sigismund III of the Vasa dynasty, granting Bartłomiej Chochołowski hereditarily the post of village administrator for his participation in the expedition against Muscovy. Chochołów is evidently an old village, with a long record of engagement in important historic events. Besides Bartłomiej, quite a few Chochołów village administrators distinguished themselves by their courage in the royal army. During the 1655–56 Swedish invasion known as the Deluge, the Chochołów villagers fought valiantly in the war under the command of Krzysztof Żegocki the starosta [a kind of royal sheriff] of Babimost. Successive Polish kings confirmed the Chochołów village administrators’ rights and privileges. The people of Chochołów also had their share in the 1768–72 Confederation of Bar. The village owes its fame in the region of Podhale to the Chochołów Uprising of 1846, which was a short-lived armed action against Austria during the Cracow revolution preceding the 1848 revolution called the Springtime of the Nations. The 1846 events had taken a long time to mature; not without meaning was the 1832 visit to the region of Podhale of the poet Seweryn Goszczyński, who had lived in hiding since after the November Uprising of 1830/31. He was founder of the clandestine Association of the Polish Nation set up in Cracow, which operated in all three zones of divided Poland with a view to rising against the partitioning powers. Also important was the Association activists’ campaigning. The plan to engage Chochołów in an uprising against Austria was born as a result of the local conspirators’ contacts with the emissaries arriving in the region of Podhale. These had got in touch with the local patriotic activists, teacher and organist Jan Kanty Andrusikiewicz, RC priest Leopold Kmietowicz of Chochołów, and another RC priest, Michał Głowacki, ‘Światopełk’, of Poronin, all of whom were later leaders of the Chochołów Uprising. The date of the outbreak of the uprising against Austria was fixed by the National Government in Cracow: it was to start on 21 February. The Austrian authorities had learnt about the plan and the Austrian troops entered Cracow on 18 February. Members of the National Government were hesitant as to whether call off the uprising but the news had not reached Chochołów, which was a long way away. On the evening of 21 February, armed insurgents under Andrusikiewicz and Father Kmietowicz’s command attacked the post of the Austrian Frontier Guards in Chochołów. After disarming the guards, Andrusikiewicz declared the outbreak of an uprising. The insurgents proceeded to Sucha Góra across the Galician-Hungarian border, planning to come by resources for the needs of the movement in the local customs house that they easily seized. One of the guards even joined the insurgents. The next day was spent on recruiting volunteers and getting the weapons ready. On the evening of 22 February, about five hundred peasants recruited in the neighbouring villages of Witów, Dzianisz and Ciche gathered in Chochołów. About midnight, they faced an unexpected assault launched by the customs guards under the command of Romuald Fiutowski the officer of the finance guards of Nowy Targ, aided by villagers of Czarny Dunajec misled into joining them by the Austrians. The insurgent leaders Father Kmietowicz and Andrusikiewicz were wounded in the skirmish. Further resistance was pointless because of the approach of reinforcements to suppress the uprising. The Chochołów Uprising leaders and participants suffered severe punishment. Many of them were imprisoned in Spielberg, Kufstein and Wiśnicz. Father Kmietowicz was sentenced to death, which sentence was later changed to many years in prison. Andrusikiewicz and others were captured and sentenced to close confinement. All were freed during the 1848 revolution. Wonder is there any public transport from Zakopane to Chocholow?